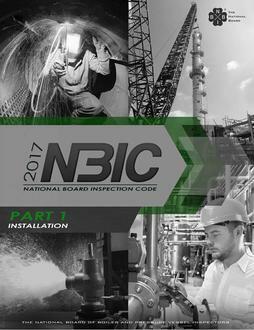 An American National Standard providing rules and guidelines for inservice inspection, repair, and alteration of pressure-retaining items, the National Board Inspection Code (NBIC) is required in many United States and Canadian jurisdictions. Purchase includes 3 years of addenda. Includes 3-Ringer binders with section insert tabs. NEW! The 2007 NBIC is now available on a compact, seachable USB flash drive. Single price includes up to five users as well as three years of addenda. Each addendum will be sent on separate, annually updated flash drives incorporating all changes. Once again the NBIC is available on a compact, searchable, easy-to-store disk that can be accessed by up to five users on one network. Single price includes three years of addenda on separate, annually updated disks incorporating all changes. 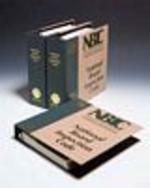 Which part or parts of the NBIC are necessary for "R," "NR," and "VR" certificate holders to have in their possession? - Parts 1, 2, and 3. What is required when an accredited repair organization changes its scope or location from that listed on its Certificate of Authorization? - The QC Manual must be revised and accepted by the Authorized Inspection Agency (AIA). A revised application form (NB-12) must be submitted to the National Board. What is required if the AIA of record has changed? - Proof acknowledging a new AIA agreement must be submitted to the National Board. When performing a pressure test of a repair or alteration (excluding re-rating), is it permissible to isolate the repaired or altered area such that the remaining parts of the pressure-retaining item are not subjected to pressure? Are repair methods not specifically identified in the NBIC allowed to be used by repair organizations? - Yes, provided concurrence of the inspector and jurisdiction is obtained. Should the jurisdiction be contacted when the original manufacturer's name plate or stamping is determined during an inservice inspection to be lost or illegible? - Yes. Form NB-136 must be used for this purpose, but only ASME can authorize the restamping of ASME code symbols. Do references to other codes or standards in the NBIC imply acceptance for use? - No. Each jurisdiction retains the responsibility to decide which codes or standards are adopted for use.